Mark Zuckerberg is once again facing heat for trying to give something away. The Facebook founder is fighting hard to save his plan to roll out free internet to India’s poor. He has written passionate editorials and taken out newspaper adverts pleading for public support for the mobile web offering, which is known as Free Basics. If India shuts down the service, the 30-odd other developing nations where it is on offer may follow. It’s another example where the young billionaire’s apparently noble goals have sparked a furious backlash. Free Basics allows poor mobile phone users to access pared-down versions of certain apps and sites, including Facebook and Wikipedia, as well as health and education information, without paying for the data they consume. In a practice known as “zero rating”, the costs are borne by the partnering telecom operator – in this case, Anil Ambani’s Reliance Communications. Zuckerberg argues that people deserve access to basic services like health and education – and that should include the internet as well. But critics accuse Facebook of trying to prevent any rivals to its core social network from emerging. Others worry that newcomers will equate the internet with Facebook. India is already the company’s second-largest market by users. Dominance there could prove enormously lucrative in the long run. Worldwide regulators are divided on the idea that underpins the service. Zero rating has been banned or restricted in countries such as Canada, the Netherlands, and Chile, according to campaigners Access Now. Many argue it violates the spirit of net neutrality – a principle that network providers should offer no advantage to specific sites or services through pricing or speed. The European Union has allowed national regulators to decide whether to permit zero rating. The founders of some of India’s most prominent blue-chip companies and start-ups have spoken out against Free Basics, which launched locally in February and was suspended by the regulator in December. It is startling that Zuckerberg has failed to convince so many in India about the merits of Free Basics. Aggressive campaigning by Facebook may have even deepened suspicions about its motives. It’s similar to the fierce public reaction that followed the billionaire’s decision last month to give away 99 percent of his Facebook shares to a new charity. Zuckerberg’s inability to win over his critics may kill off his plan to connect the world. India’s telecom regulator said on Jan.1 that it had received a record number of responses to its consultation on differential pricing for data services that will decide the fate of Facebook’s Free Basics platform in the country. The Telecom Regulatory Authority of India (TRAI) has extended a deadline for comments until Jan. 7. In December, TRAI ordered Facebook’s mobile partner Reliance Communications to suspend the Free Basics service. Free Basics lets users access pared-down versions of a limited number of websites including Facebook, Wikipedia, Bing search, BBC News, and Dictionary.com without any charges. It is available in around 37 countries. The service is paid for by telecom operators. The practice is known as “zero rating”, where certain sites and applications are not counted against a user’s data limits. Earlier this year, Bharti Airtel, India’s largest mobile operator, tried to launch a similar service. In the case of Airtel Zero, application providers would have paid for data charges. 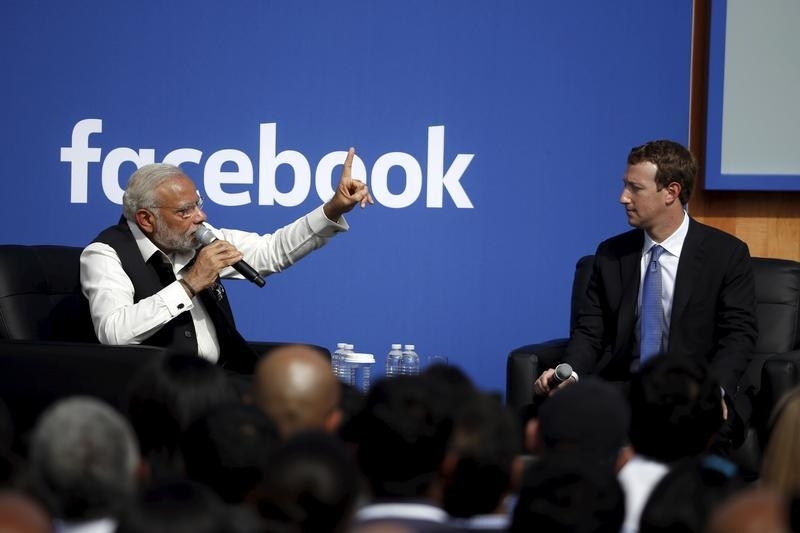 “More than 30 countries have recognized Free Basics as a program consistent with net neutrality and good for consumers”, Facebook founder Mark Zuckerberg wrote in the Times of India on Dec. 28. India doesn’t currently have rules on net neutrality - the principle that internet service providers give no competitive advantage to specific applications or services, either through pricing, speed, or quality of service.